If this is the first time you hear about Microsoft WebMatrix, I suggest you to read my previous post WebMatrix – Introduction before continue reading this post. WebMatrix can be installed through Web PI 3. When this post is written the version of WebMatrix is still in Beta and Web PI 3 also still in Beta. Once Web PI 3 Beta installed, it will automatically started (if it’s not you can also run it from IIS). Then open Developer Tools tab and click Visual Studio’s customize link, you can then select Microsoft Web Matrix Beta to install. 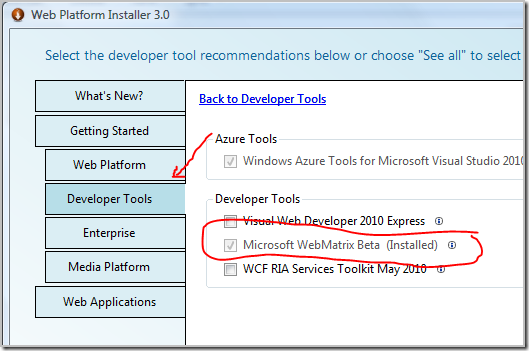 If you haven’t installed WebMatrix it will also be shown in the What’s New? tab of the Web PI 3 Beta. 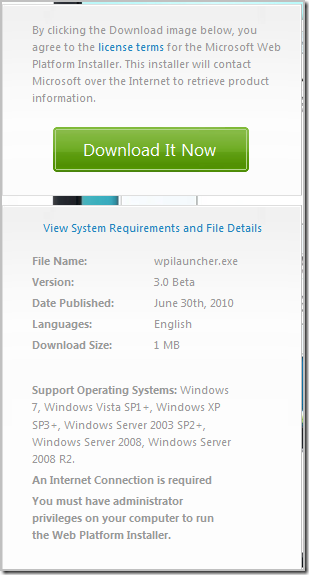 Click it and then click the Install button at the bottom right of the window to start the installation. 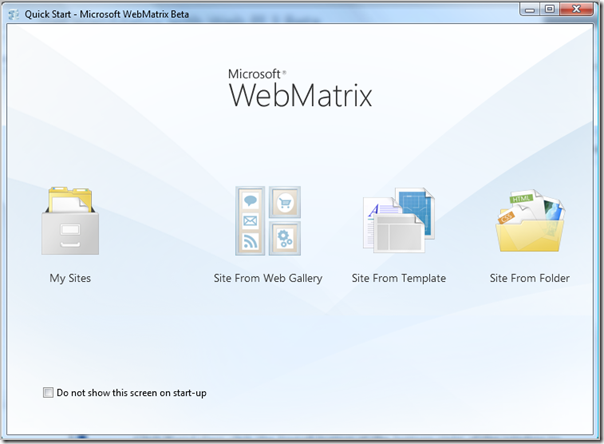 After the installation process completed, you can run the WebMatrix and will see below dialog when you first run it. That’s it! now you can start to explorer WebMatrix.